Most Florida residents leave their estates outright to friends and loved ones after they pass away. Most likely these inheritances go straight to the decedent’s children, which leaves many family members disinherited. Instead, we recommend creating a descendants trust that offers a variety of ways to leave a legacy and provide for future generations. A descendant’s trust is a revocable or irrevocable trust that is created to last a long time. This type of trust can hold money and other assets, such as stocks, for as long as 360 years in Florida and longer in other states. 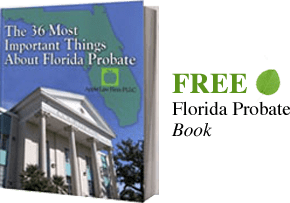 A trustee manages a Florida descendant’s trust, as well as future successor trustees, that act in the best interest of the beneficiaries according to the language of the trust document. The rule against perpetuities is perhaps one of the most complicated legal concepts ever invented. The law is so complex that even Supreme Court justices have admitted to not actually understanding the concept, which is why many states have chosen to replace the rule under modern statutes. Florida has gotten rid of this archaic law for trusts. Under the new rule, a trust in Florida can continue for 360 years. This means a trust can hold assets and funds for around 5 generations, and offer the same benefits that a trust offers today. As stated above, the main advantage of a descendants trust it that it allows the settlor to create a dynasty. This long lasting trust gives the trust’s creator a peace of mind by knowing that he or she will be able to provide for family members long after they are gone. However, the descendant's trust also offers more benefits besides longevity. The assets are protected from a spouse in the case of your child's future divorce. The assets can be protected from your child's creditors. The assets are not part of your child's taxable estate in the event of their incapacity or death. The assets can be removed from your child's estate so that he or she will not have additional estate taxes due on the value of the assets. The assets are sheltered from lawsuits against your child. One of the main benefits a descendants trust is the amount of control it offers the settlor. The descendants have very little control, which can be a good thing. It’s hard to say how our fourth generation of descendants may act or what people they may become. This is why we often recommend long-term trusts have discretionary provisions that allow the trustee to distribute funds in the best interest of the beneficiaries. The time to create descendant's trusts is when you are creating your own estate plan. Contact us by email or call Jacksovnille Estate Planning Lawyer at (904) 685-1200 to discuss how descendants trusts can benefit your family.